The 7 young ladies who will be participating in the 2018 Carnival Queen Show will be introduced to the public for the first time during the launch of Spicemas 2018 which will be held at the Tanteen Playing Field on Saturday, 7 April from 3 pm. Kirk Seetahal, Chief Executive Officer of the Spicemas Corporation (SMC) said that the launch will open with children’s activities and will gradually move into presentations from carnival bands, steel bands and then performances from groovy, soca and calypso artistes. “There will be appearances from both traditional and fancy mas bands and by some of our top soca artistes. We are not forgetting the kids, and so the kids’ village will open from 3 pm with face painting and other fun activities for the little ones,” he said. Following Saturday’s launch, Seetahal said that carnival-related activities would commence in earnest. “These will include workshops for stakeholders, registrations for the various competing events and then preliminary competitions, semi-final rounds and final events,” he said. Carnival will conclude with the display of all carnival bands on designated streets in St George’s and other parishes. The official carnival days are 13-14 August 2018, but the week from 5 August will be hyped with private shows and 3 official SMC events. Queen show will be held on 9 August the Spice Basket; Soca Monarch on 10 August and Panorama on 11 August at the National Stadium. 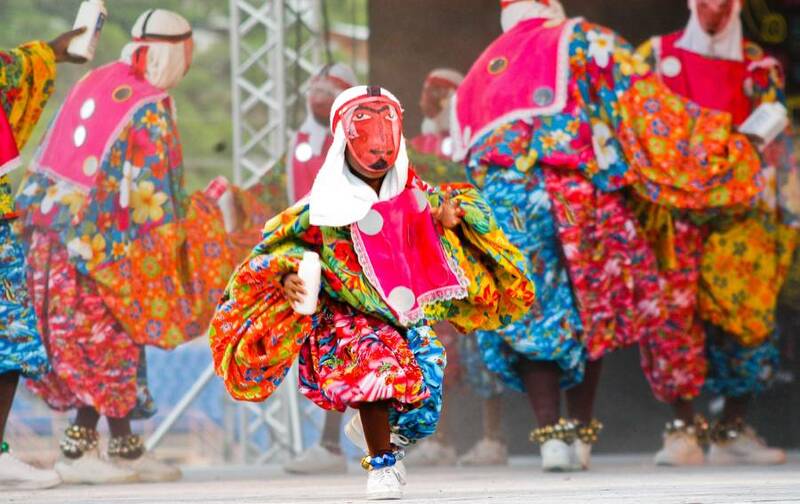 From 12-14 August, the main events will be Dimanche Gras at the National Stadium on Sunday, 12 August; J’ouvert on the morning of 13 August and Pageant in the evening. The last lap jump-up is on 14 August.